An insurance claim itself is a core part of the insurance business. Basically, after you sign up for insurance and later ask to use something that’s included in your insurance policy or package, you make a formal request to your insurance company asking for a payment based on the terms of what you signed up for. This can be after a car accident, a doctor or hospital visit, a tree falling on your house, and a variety of other damages. Claims can also be made against insurance companies of individuals who have someway caused you damage — such as an at-fault driver who hits your car. After you file a claim, the insurance company reviews your claim for its validity and determines if it’s going to pay out that claim. 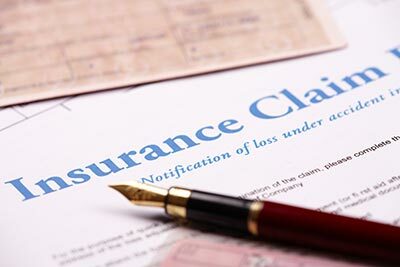 In many cases, individuals themselves don’t file claims against insurance companies, but third parties file claims on their behalf, such as relatives, lawyers, or non-profit organizations. Ultimately however, only the person listed on the policy is entitled to compensation that results from the claim. Because more Americans than ever before now carry health insurance, the amount of health insurance claims in the last several years has increased. According to the Centers for Disease Control and Prevention, the most common physical injuries are fairly standard: bruising, cuts, and falls, many of which lead to the most common health insurance claims. According to the latest data available from the Texas Department of Transportation, there were a total of 518,577 car accidents in Texas in 2015, making Texas one of the most dangerous places for Americans to drive. That also means that there’s a lot of auto insurance claims in Texas filed everyday, ranging from fender benders to collisions with animals. Regardless of the cause of the accident, drivers who file claims against their own insurance company or the insurance company of the at-fault-driver typically file these types of claims: property damage, bodily injury, and Personal Injury Protection (PIP) or Medpay. If you’re involved in an auto accident and want to evaluate your options for filing a claim, contact a trusted legal professional who can evaluate your claim and make sure you’re treated fairly. According to the Insurance Journal, weather-related incidents make up more than half of all homeowners insurance claims stemming from damages such as pipes freezing and bursting, wind causing damage, and leaky roofs during heavy rainfalls. Fire-related claims are the most expensive. Compared to auto and health insurance claims, homeowner or renter’s claims are not filed as frequently, but are still very common, especially in places where adverse weather is a constant threat. Personal property coverage — pays if the items in your home are damaged, stolen, or destroyed. Other structures coverage — pays to repair or rebuild property not attached to your house, such as garages, sheds, and fences. Loss of use coverage — pays your additional living expenses, such as housing and food, if you have to temporarily leave your home because of damage to your house from a covered loss. Personal liability coverage — pays for the cost of a lawyer to defend you against lawsuits if you are found responsible for someone else’s injuries or property damage. Medical payments coverage — pays the medical bills of people hurt on your property, and may pay for some injuries that happen away from your home, such as your dog biting someone at the park. Unlike standard homeowner’s insurance, renter’s insurance is typically used only to pay to repair or replace personal property in the home you’re renting — things such as furniture, clothes, and electronics, if they are stolen or damaged. Renter’s insurance however won’t pay to fix the house or apartment if it’s damaged. Life insurance claims are usually paid out when a person passes. Life insurance policies are designed to pay a beneficiary, such as a spouse or family member, a sum of money in exchange for a premium, after the death of the insured person. The life insurance claims process, especially when it involves a high payout, often requires lengthy examination by the insurance company to ensure that the person covered meets the policy requirements. For example, if the person covered is found to have committed suicide or his or her death results from a criminal act, the life insurer may refuse to pay. In most cases, however, the payout process takes anywhere from a few weeks to a couple of months to be paid out. Experiencing a sudden loss of income due to a disability can be incredibly difficult for most individuals and their families. That’s why disability insurance exists, to help provide individuals with income in case they’re unable to work as a result of disabling injury or illness, including mental illness. There are two main types of disability insurance, short-term and long-term. If you need counsel or advice on any of these types of claim and what steps you should take to file the appropriate claim and be treated fairly throughout the claim process, contact a trusted lawyer who can help you navigate the claims process.